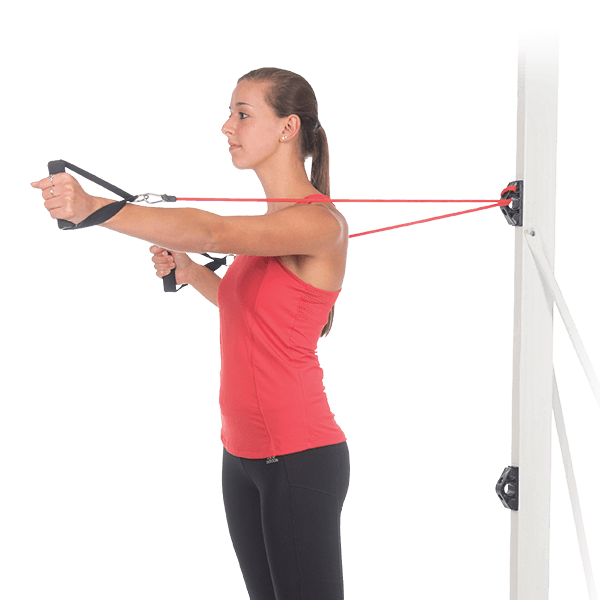 Easily attach resistance bands or tubes to these wall clips and perform an endless variety of exercises. 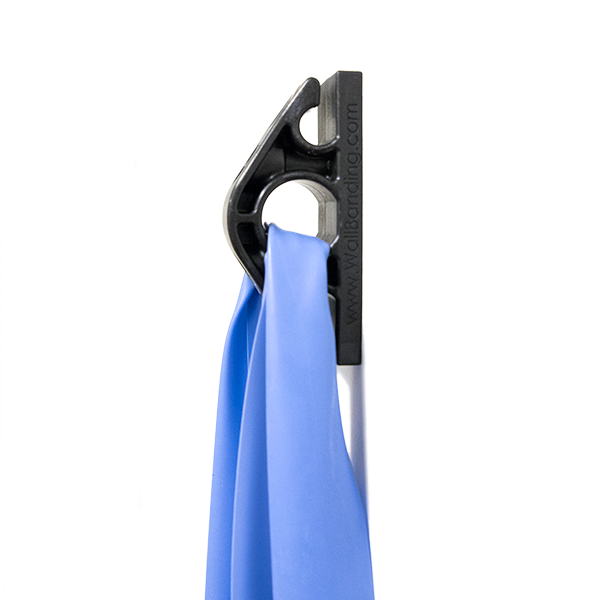 These versatile clips are designed to secure resistance bands during exercise, ensuring they won’t slip. 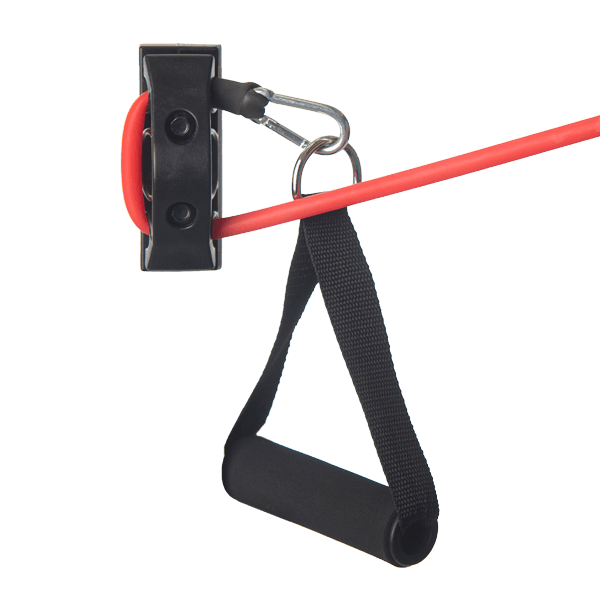 Each clip is capable of accommodating a pull force of 800 pounds, and features three attachment points that are compatible with resistance bands or tubes. 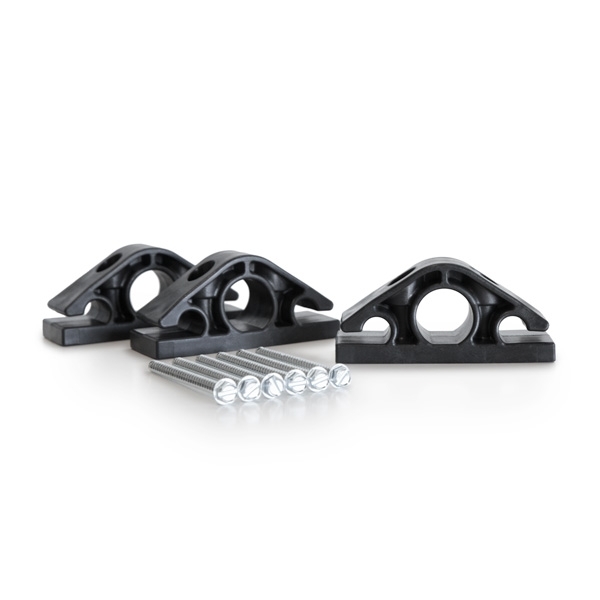 The wall anchor kit contains three clips, allowing for lower, middle, and upper attachment positions on the wall. 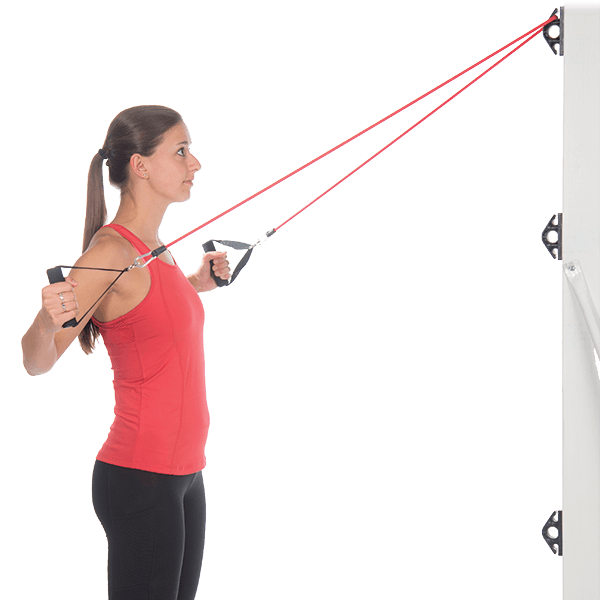 Installing at these multiple heights produces a variety of different angles for hundreds of movements, letting you to target specific areas of the body such as legs, abdominals, chest, shoulders, and arms. 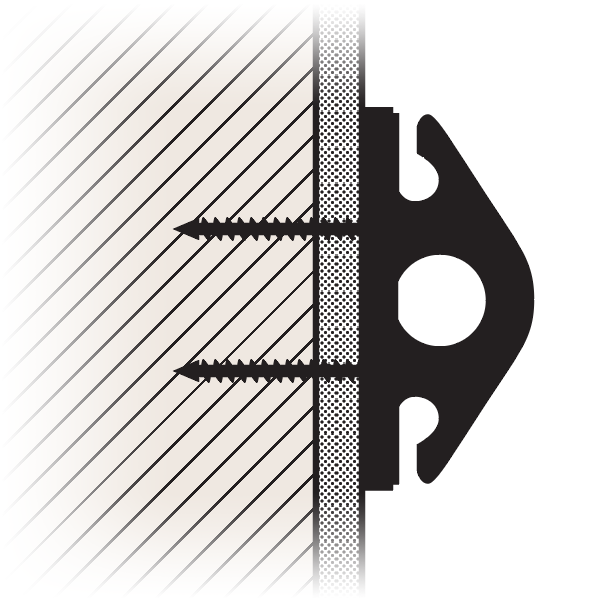 *Clips must be firmly attached into a wall stud using two screws. Created by physical therapists Robert Schrupp and Bradley Heineck. A must have for anyone! Excellent product for me both personally and professionally. Installed and ready to use in minutes. Very safe, durable, and makes moving tubing effortless. I use my set in my garage and it has taken the place of my expensive, heavy dumbells. No noticeable wear and tear on my tubing from the anchors (been using it for over 6 months). 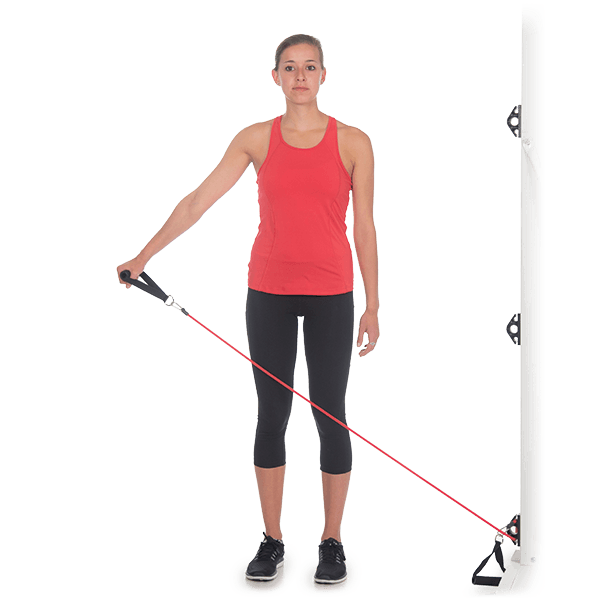 Working as a Physical Therapist Assistant patients love the variability, challenge, and benefit that comes with this set. 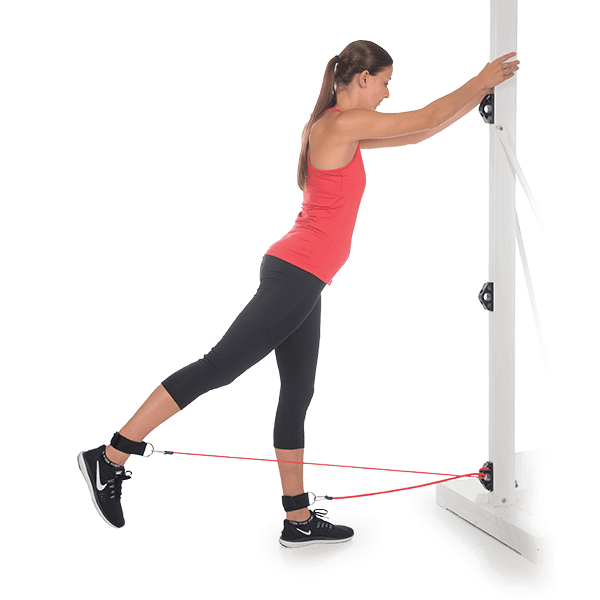 Great for all ages and skill sets; from the high level athlete to wheelchair level rehabilitation.